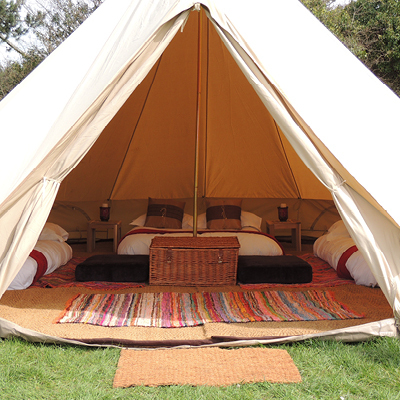 A traditional canvass bell tent fully furnished. 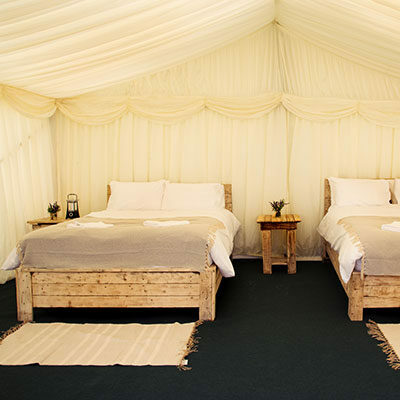 This wonderful furnished traditional canvass tent includes a comfy foam mattress, luxury cotton linen, pillows, duvets and towels. 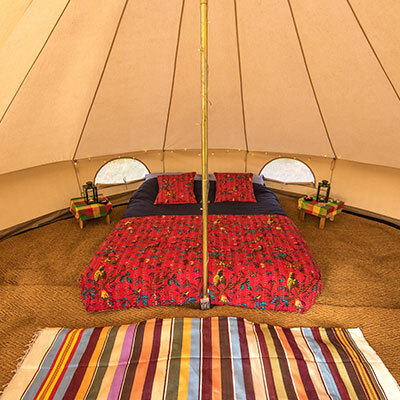 It comes with a ground sheet with padded carpet and will comfortably sleep up to 4 guests. 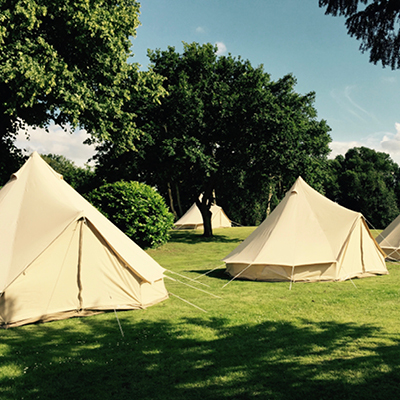  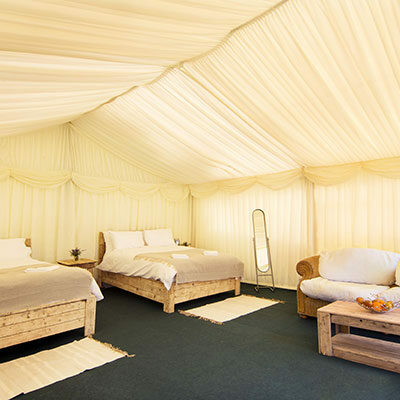 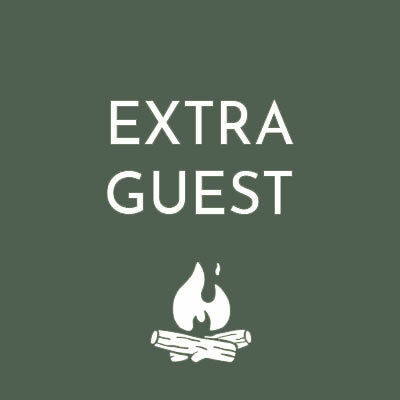 When you stay in one of our beautiful bell tents you have access to our hot showers, pamper room including hairdryers and straighteners, sparkling loos, phone charging, private bar and restaurant, chill out area with fire pits and hot tubs and cool tubs.